At this year’s Qatar Goodwood Festival, The Wine Tipster spent the five days presenting for Goodwood TV and Radio, and Racing UK. As well as sharing his tips for the Festival, The Wine Tipster was also involved with the Stewards’ Cup draw on Thursday ahead of Saturday’s big race. He represented Mick Easterby, who had Hoof It and Perfect Pasture running, and managed to draw good numbers for both horses – Hoof It in Stall 4 and Perfect Pasture in Stall 17. The 10 year old Hoof It, a former winner of the Stewards’ Cup, ran a fantastic race and finished 6th, while Perfect Pasture didn’t run as well as expected given some of his recent form, but given his listed win earlier in the season, he is well worth supporting on his next appearance. Overall, it was an amazing five day festival of racing which demonstrates the depth of the racing, and which The Wine Tipster believes will only continue to grow in terms of racing quality throughout the five days. The spectacle and setting of the Festival make this an exciting and unique racing occasion, and a must for true racing fans and those looking for their first racing experience. The Wine Tipster’s personal highlights included Expert Eye in the Qatar Vintage Stakes on the Tuesday, who ran a great race and has a good chance for the Guineas Festival next May. On Ladies’ Day, Winter showed what a brilliant filly she is by winning the Nassau Stakes in ground that was far too soft for her to show her real class, but she is undoubtedly an outstanding three year old. In the Qatar King George Stakes on Saturday, Battaash showed that his Sandown performances had been no fluke as he always travelled like the winner to beat a very strong field, showing that he really is a top class sprinter. The Wine Tipster had a great time broadcasting with Lee McKenzie and Anthony Kemp on Goodwood Radio, as well as doing exciting features on Course TV with Rupert Bell and Hayley Moore. Racing UK also broadcast The Wine Tipster and his regular partners in food and drink crime, Tom Stanley, Rishi Persad and Niall Hannity. 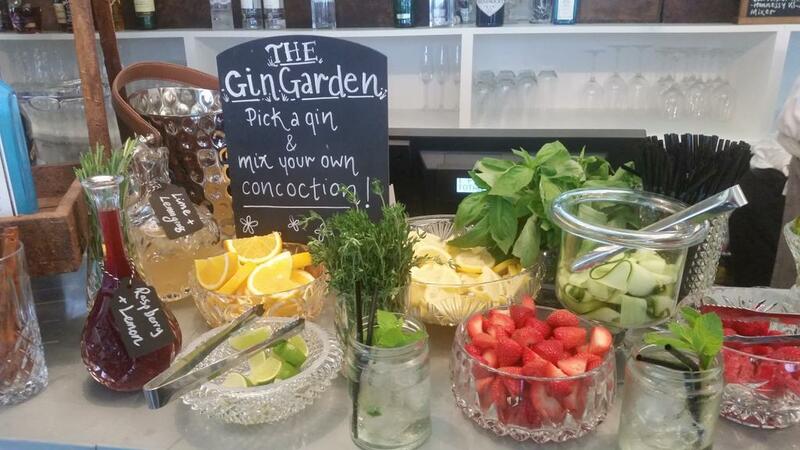 Food and drink highlights included the Gin Garden, featuring Bombay Sapphire, Hendricks and Goodwood’s own gin. The Secret Garden offered a great buffet experience with wonderfully presented food and a great ambience – a must-go at the course. Coates and Seely were a great feature with their Sparkling English Wines which have deservedly won numerous awards, rightly so given that the wines are Group 1 performers. It has to be said that the Goodwood team did an amazing job when faced with such a mixed week of weather, coping with 35ml of rain on the Wednesday. Seamus Buckley, the retiring clerk of Goodwood described the day as the most difficult he has had to deal with in 23 years of working at the racecourse. Despite the weather, the team coped brilliantly and Buckley can certainly retire on a high. The Wine Tipster enjoyed a wonderful few days of racing, and is looking forward to presenting more at the Haydock Rose of Lancaster Stakes Day this Saturday.